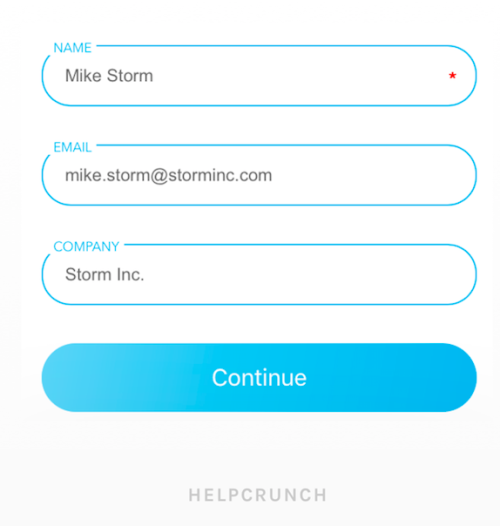 After installing HelpCrunch Live Chat, you can use a handy feature to collect your visitors’ details and follow up with them – pre-chat form. If you set in ON – it’ll appear after a visitor sends the first message and invite people to provide personal data, such as name, email, and the company that can be used for further communication. You can customize the form to your needs, hiding or displaying fields, making them optional or obligatory. 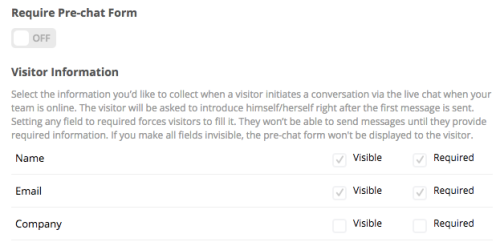 If it’s OFF – it does not pop up and the visitors chat with you directly without filling any information. For such anonymous users, we generate funny names, for example, Happy Rabbit (anonym) so that you can easily distinguish between different anonymous customers. The best thing is that now you can set pre-chat form separately for the online and offline modes. Wondering when is best to display it and when to hide? Here are some useful tips. For online mode we suggest keeping it OFF to capture as many potential clients as possible, eliminating all barriers and making it max. easy for everyone to chat with you. You can always ask for the name and email during the chat itself, right? Pro tip. 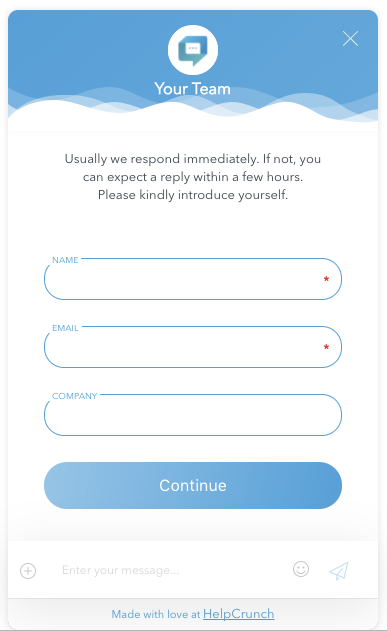 If you drive lots of traffic to your site, you can set the form ON with the email field required in order to filter out idle passers-by or people who don’t have a real interest in your product or service. Just not to get bombarded with useless messages. And let’s say the visitor sends you a message but never returns to chat? You’ll still be able to reach out cause you have their email. Smart, isn’t it? To set and/or change you pre-chat/offline form settings, go to your HelpCrunch account→Settings →Your Website → Customization.